Different sources give this print the title "Interior of the Mamelon Vert". The Mamelon Vert, near Sebastopol, was captured by the French army on 7th June 1855 during the Crimean War. 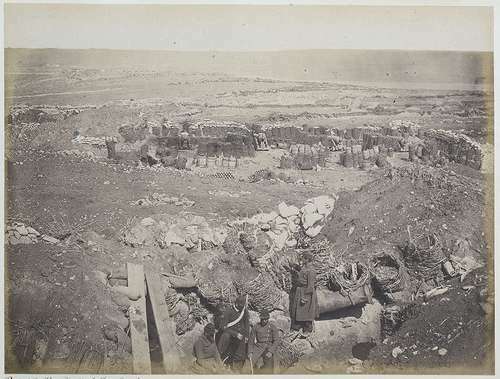 On the 8th September the French took the Malakhov bastion and presumably this photograph was taken around this time.